and to the people of Israel"(Acts. 9:15). Nirmalrani is the little plant of God Almighty sprouted in the soil of Idukki on 2ndAugust 2004 from the heart of its Mother, the Vimala Province, Kothamangalam. "For surely I know the plans I have for you, says the Lord, plans for your welfare and not for harm, to give you a future with hope"(Jer. 29:11). Yes, it is His plan! To make His name known to the people of High ranges and other mission centers in Africa, America and Germany, He gave birth to Nirmalrani Province, Idukki, the 20th daughter of FCC. The diocese of Kothamangalam was divided and the Idukki diocese came into existence on 23rd January 2003. With the formation and erection of Idukki diocese, it was befitting that FCC Kothamangalam also be bifurcated. With the special amendments in the Constitution of the Franciscan Clarist Congregation approved by the Holy See, Nirmalrani Province was born on 2ndAugust 2004 with 134 professed sisters, 17 religious houses and one residence. 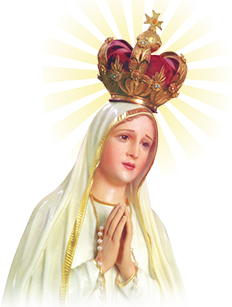 The patroness of the newly erected province is the Queen of Portiuncula- Our Lady of Angels. Rev. Sr. Ancil was the first Provincial Superior of the newly formed Province. At present the province is blessed with 21 houses and 169 members. We entrust each and every member of this province to Our Lady of Angels, the Patroness of this Province. May the good Lord guide and protect us always.